To be held at the Roma Administration Centre on 23 April 2014. Mayor Cr. R S Loughnan chaired the meeting with, Deputy Mayor Cr W S Wason, Cr. J L Chambers, Cr. R J Denton, Cr P J Flynn, Cr. W M Newman, Cr. C J O’Neil, Cr. D J Schefe, Chief Executive Officer – Julie Reitano, Coordinator – Corporate Communications – Jane Frith, and Kelly Rogers Minutes Officer in attendance. Director Infrastructure Services – Cameron Castles, Director Development, Facilities & Environmental Services – Rob Hayward, Director Corporate, Community & Commercial Services – Sharon Frank, Sports & Recreation Officer – Emily Rogers, Manager Building & Planning – Danielle Pearn, Specialist Business Development – Ryan Gittins, Manager Environmental Health, Compliance & Waste – Sandra (Kay) Crosby, Manager Infrastructure Planning & Design – Kym Downey, Manager Infrastructure Contracts & Engineering Services – Peter Weallans, (Acting) Coordinator Local Development & Council Events – Susan (Sue) Sands, Specialist Senior Engineer – Hamid Ashtari. The Mayor welcomed all present and declared the meeting open at 9.13am, noting that Cr. Flynn would be a late arrival at the meeting. This reference is found on page 33 of the Business Paper. Cr. Flynn entered the Chamber at 9.16am. The Chief Executive Officer (CEO), who had been approved annual leave up to the 14 March, 2014, needed to extend this leave due to family reasons. 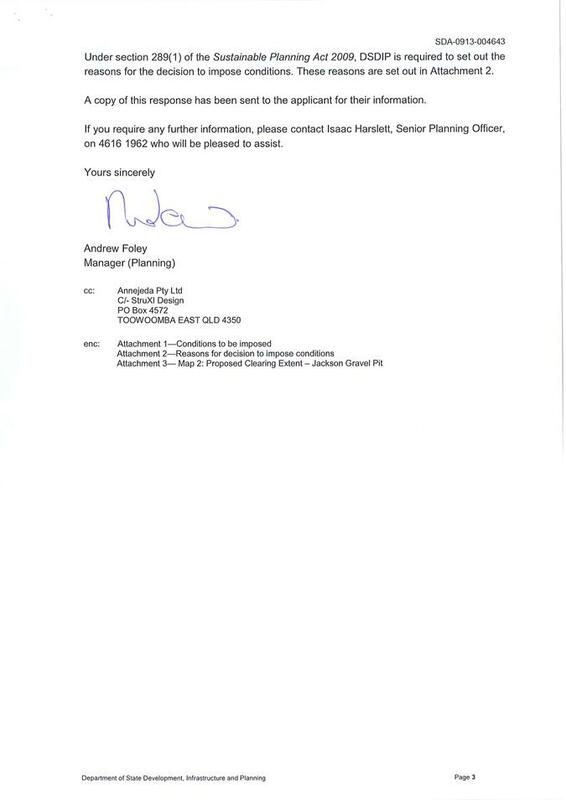 Mr Michael Parker, Acting CEO (approved by Council at General Meeting 12.02.2014) was available and agreed to stay with Council for the requested extension period. That Council endorse the Mayor’s approval of Mr Parker’s extension in the role of Acting Chief Executive Officer until close of business on 19 March 2014. 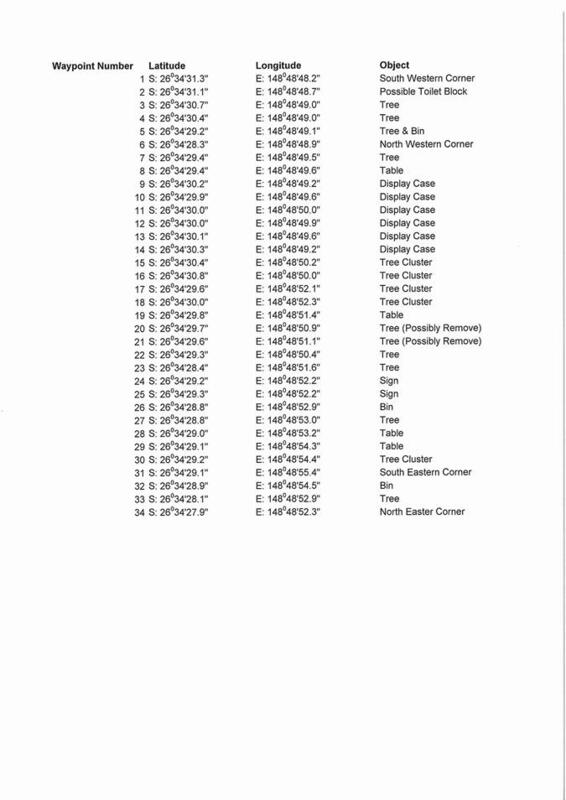 This report provided a copy of the confirmed meeting minutes of the advisory committees that held meeting during the months of September 2013 – February 2014. Bassett Park Advisory Committee – 3/09/13. The applicant paid annual parking & landing fees for two aircraft, for usage at Roma Airport. The applicant owns four aircraft and has requested that they are all covered under the fees he paid as he swaps aircraft that are based at Roma. 1. The current Fees and Charges be applied to all four aircraft. 2. The Frequent User Discount of 20% be applied to each aircraft in line with the current Fees and Charges. 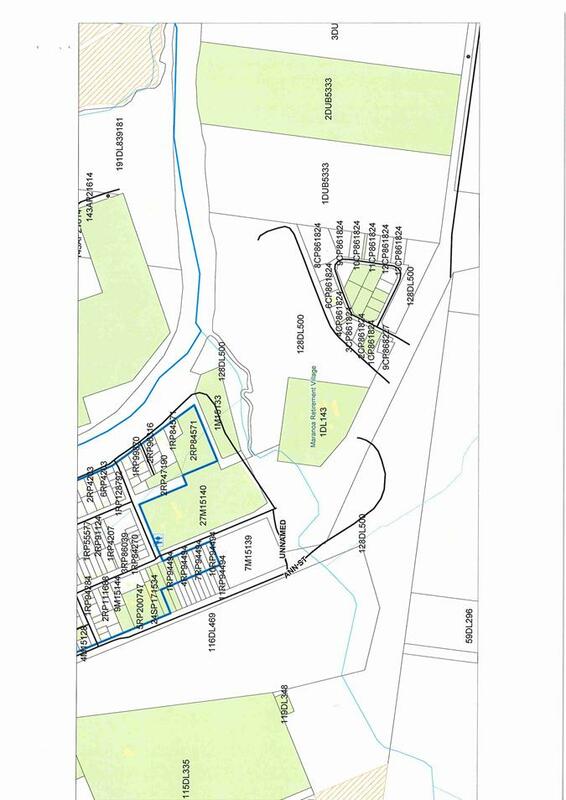 Names were sought from Economic Development Queensland for two (2) unnamed Streets to be located in Stage 3 of the Clearview Rise Development Area, Roma. That Council name the new streets in Stage 3 of the Clearview Rise Development as Bromeliad Crescent and Little Kurrajong Place. The Mayor declared a potential perceived ‘Conflict of Interest’ in the following item, due to one of the nominees under consideration being a relative, and elected to remain in the Chamber for discussion and debate on the matter, on the basis that it would not alter his ability to make a decision in the broader public interest in recognising individual sporting achievements. Council authorisation was sought to include two potential inductees on the Wall of Fame at the Maranoa PCYC, George Street, Roma as nominations forms have been received. Council approve the inclusion of Erica MacMillan (Equestrian) and Molly Ferguson (Water Skiing) on the Wall of Fame due to them having individually represented Australia under a recognised National Sporting Organisation. All future nominee requests be put forward as part of the Confidential Business Papers. Procedures surrounding the Wall of Fame Inductees be reviewed at an upcoming Councillor Workshop. 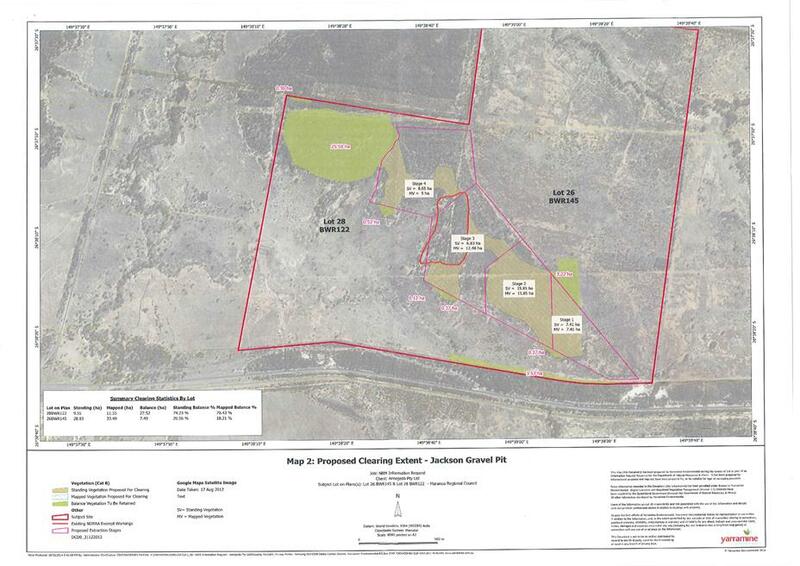 This application sought approval for a Material Change of Use – “Storage Facility” (in two stages) on land situated at Fleming Drive, Roma QLD 4455 (described as Lot 3 on SP253616, CMS: 30468). The application is subject to Impact Assessment against the relevant provisions of Roma Town Planning Scheme 2006 including the Desired Environmental Outcomes and Urban Area Code. Public notification was carried out between 16 December 2013 and 22 January 2014. One (1) properly made submission was received during this period. Stormwater Management Report by Reid Consulting Engineers Pty Ltd.
8. All works must comply with (i) the development approval conditions, (ii) any relevant provisions in the planning scheme for the area, (iii) Council’s standard designs for such work where such designs exist, (iv) the CMDG, (v) any relevant Australian Standard that applies to that type of work and (vi) any alternative specifications that Council has agreed to in writing and which the developer must ensure do not conflict with any requirements imposed by any applicable laws and standards. 10. Major and minor event stormwater drainage systems are to be provided for the development site generally in accordance with the Stormwater Management Report prepared by Reid Consulting Engineers Pty Ltd dated 21 November 2013 and in accordance with the CMDG – D5 Design Guidelines ‘Stormwater Drainage Design’. 13. There must be no increases in any silt loads or contaminants, in any overland flow from the property being developed during the development process and after the development has been completed. 15. The development will be subject to the ‘Filling and Excavation Code 5.2’ of the Roma Town Planning Scheme 2006. Earthworks are to be undertaken in accordance with Schedule 7: “Standards for Construction Activity” of the Roma Town Council Planning Scheme 2006 and the CMDG D6 ‘Site Regrading’ Design Guidelines. 17. If there is a possibility of erosion or silt or other materials being washed off the property being developed during the development process, the developer must document and implement a management plan that prevents this from occurring. 18. Should it be necessary for the road and/or drainage system to be reinstated or cleaned up due to erosion and/or sedimentation from the site, then such works shall be at no cost to Council. Such works shall be undertaken immediately where there is a potential hazard to pedestrians and/or passing traffic. 19. The development shall be connected to Council’s reticulated water supply system in accordance with the Water Services Association of Australia (WSAA) publication WSA03-2002 Water Reticulation Code of Australia (version 2.3), and CMDG – D11 Design Guidelines ‘Water Reticulation’, at no cost to Council. 20. The development shall be connected to an onsite effluent disposal system in accordance with the Water Services Association of Australia (WSAA) publication WSA02-2002 Sewerage Code of Australia (version 2.3), at no cost to Council. 22. Each stage of the development is to be connected to a reticulated electricity supply service in accordance with the relevant service provider’s requirements and specifications along with relevant building standards, requirements and specifications. 23. All services installation, including sewer, water, gas, electricity and telecommunications connections to the respective networks, must comply with (i) the development approval conditions, (ii) any relevant provisions in the planning scheme for the area, (iii) Council’s standard designs for such work where such designs exist (iv) the CMDG where it applies (v) any relevant Australian Standard that applies to that type of work and (vi) any alternative specifications that Council has agreed to in writing and which the developer must ensure do not conflict with any requirements imposed by any applicable laws and standards. 24. Services and infrastructure required in connection with the establishment of the approved development must be provided at no cost to Council. 25. Any conflicts associated with proposed and existing services shall be forwarded by the developer to the appropriate controlling authority for approval for any proposed changes. 26. The landowner shall be responsible for construction and maintenance of vehicle crossovers from the road carriageway to the property boundary and for obtaining any approvals that may be required and for complying with the applicable designs and standards. 27. The existing access off Fleming Drive is to be upgraded to a bitumen seal from the property boundary to the existing bitumen pavement. The width of the access is to ensure all vehicle manoeuvring will be on the sealed area. 28. Vehicles entering and exiting the development site must be able to enter and leave in forward direction. Reversing out of development site is not permitted. Vehicle manoeuvres in this regard are to be totally contained within the development site boundaries. 31. Service vehicle access and manoeuvring is to be designed in accordance with AS/NZS 2890.2:2004 - Parking facilities Part 2: Off-street commercial vehicle facilities requirements. 32. Provide a minimum of six (6) car parking spaces, including one (1) space for persons with disabilities for each stage, in accordance with the approved drawing 13-0705 Sheet A.000 Rev B “Site Plan” – (as amended in red and dated 13/03/14 by Council), prepared by Aspect Architects & Project Managers. 33. Parking bay configurations (width and lengths) to be in accordance with AS/NZS 2890.1:2004 Parking Facilities Part 1: Off-Street Car Parking. 34. Disabled car parking bays shall be designed in accordance with AS/NZS 2890.6:2009 Parking Facilities Part 1: Off-Street Car Parking. 35. All car parking spaces, access and manoeuvring areas are to be sealed with an approved impervious surface. The impervious areas will form a single joined surface. Surfacing shall consist of either: patterned concrete, reinforced concrete, concrete pavers, segmental clay pavers, asphaltic hotmix or two coat (primerseal/seal) bitumen seal. 36. All vehicular access and related items must comply with (i) the development approval conditions, (ii) any relevant provisions in the planning scheme for the area including Schedule 2: “Standards for Roads, Car Parking, Access and Manoeuvring Areas”, (iii) Council’s standard designs for such work where such designs exist, (iv) any relevant Australian Standard that applies to that type of work and (vi) the Capricorn Municipal Development Guidelines (CMDG) and (vii) any alternative specifications that Council has agreed to in writing and which the developer must ensure do not conflict with any requirements imposed by any applicable laws and standards. 37. The developer shall immediately clean up and satisfactorily remove any deposited construction material or silt runoff from the development site. 38. 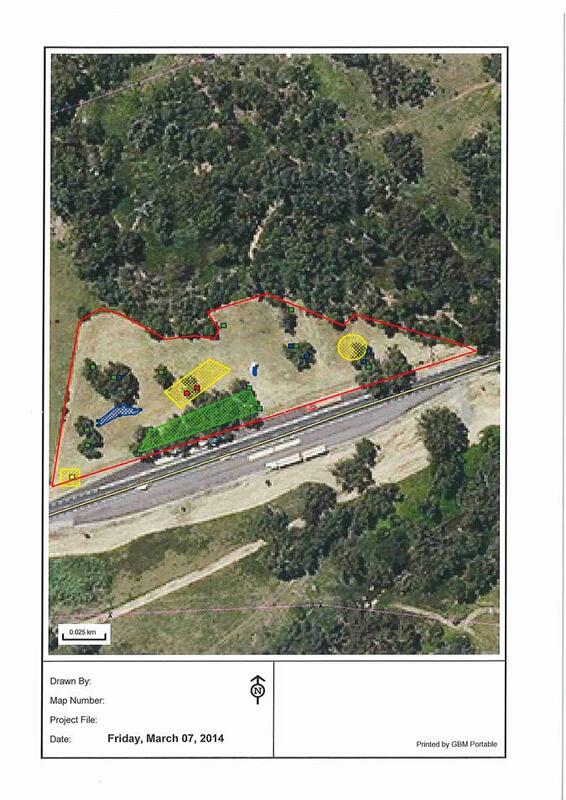 Site landscaping is to be provided generally in accordance with amended drawing 13-0705 Sheet A.000 Rev B “SitePlan” – (as amended in red and dated 13/03/14 by Council), and prepared by Aspect Architects & Project Managers. Vegetation is to comprise a mix of trees, shrubs and groundcovers. 39. A fully automated irrigation system shall be installed and maintained for all landscaping, and shall be of sufficient specifications, including flow rates, to adequately irrigate all landscaped areas within the site. 40. Vegetation is to be established prior to commencement of any approved uses on the site and groundcovers should fully cover vegetated areas within one (1) year of planting. 41. Site landscaping must not interfere with electrical infrastructure nor restrict maintenance access to any onsite infrastructure, public utility or easement. 42. At all times while the use continues, waste containers shall be maintained in a clean and tidy state and shall be emptied and the waste removed from the site on a regular basis. 43. All waste containers shall be shielded from the view of travelling public and neighbours. 44. Lighting of the site, including any security lighting, shall be such that the lighting intensity does not exceed 8.0 lux at a distance of 1.5 metres from the site at any property boundary. 45. All lighting shall be directed or shielded so as to ensure that no glare directly affects nearby properties. 46. Any air conditioning, generator, refrigeration, pump, exhaust, fans, processing or other equipment must be acoustically screened to ensure noise levels do not exceed 5dB above the background noise level. 47. Whilst the approved works are in progress, no nuisance is to be caused to adjoining properties and occupiers by the way of noise, smoke, dust, rubbish, contaminant, stormwater discharge or siltation at any time, including non- working hours. 48. Whilst the approved works are in progress, waste containers must remain on site and be maintained in a clean and tidy state and shall be emptied and the waste removed from the site on a regular basis. 49. The area and its surrounds shall be kept in an orderly fashion, free of rubbish and clear of weeds and long grasses. The approved development and the premises are to be maintained in a clean and tidy condition and not to pose any health and safety risks to the community. 50. Any damage to roads and infrastructure, that is attributable to the progress of works on the development site or to vehicles associated with the development of the site, shall be repaired to at least the previous condition and at no cost to Council or, if the Council agrees, the cost of repairs may paid to Council for the Council to carry out the repairs. 51. This approval is for “Storage Facility” only. 52. All conditions of approval related to the establishment of the development must be fulfilled prior to any approved use commencing. 53. 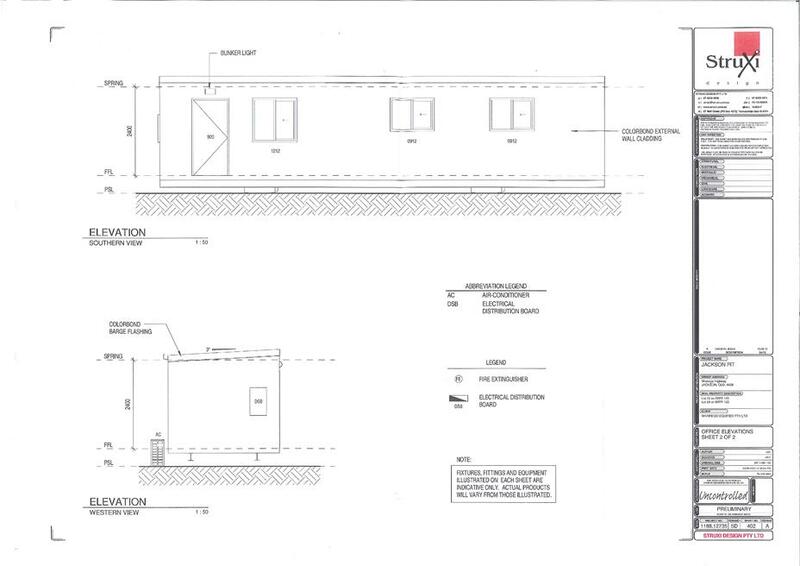 This approval does not extend to accommodation units or any other form of overnight accommodation use at the site. 54. An infrastructure contribution of $10,976.00 is payable to the Council. Payments are to be made for the additional impacts which the development will have upon the transport, stormwater, water supply and community infrastructure networks. No payment needs to be paid to Maranoa Regional Council for Stage 1 of the development before use of Stage 1 commences. The payment is to be paid to Maranoa Regional Council within one year of the use commencing. When the payment is due to be paid, the developer can elect to have the amount reassessed under the system of infrastructure charges applicable at that time. 55. An infrastructure contribution of $10,976.00 is payable to the Council. Payments are to be made for the additional impacts which the development will have upon the transport, stormwater, water supply and community infrastructure networks. No payment needs to be paid to Maranoa Regional Council for Stage 2 of the development before use of Stage 2 commences. The payment is to be paid to Maranoa Regional Council within one year of the use for Stage 2 commencing. When the payment is due to be paid, the developer can elect to have the amount reassessed under the system of infrastructure charges applicable at that time. 56. 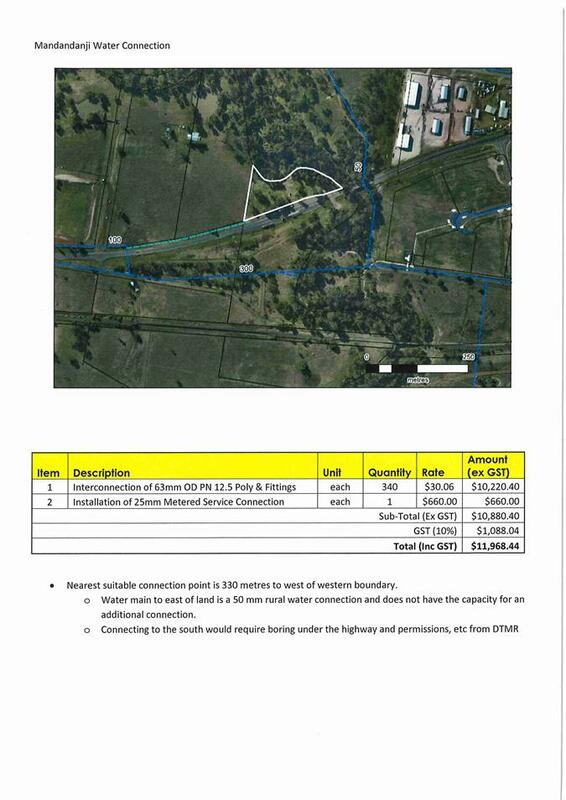 The payments in Conditions 54 and 55 do not include the costs of connecting the development site to the infrastructure networks within the Roma Priority Infrastructure Area. 57. The payment and works required by Conditions 54 and 55 are to be made and undertaken in accordance with the Schedule of Infrastructure Charges and Works. This Schedule is also a condition of this approval. 58. The developer is responsible for meeting all costs associated with the approved development unless there is specific agreement by other parties, including the Council, to meeting those costs. 59. All rates and charges of any description and all arrears of such rates and charges, together with interest outstanding thereon, on the land, due to the Council, shall be paid to the Council prior to any approved use commencing. The establishment costs include the costs of connecting the site to the water network and the costs of connecting the site to the road and drainage network. The payment must be made in accordance with Conditions 53, 54 and 56 or in accordance with the provisions of an infrastructure agreement. Commerce Roma, in partnership with Santos GLNG, is holding a regional business awards ceremony in Roma on 24 October 2014. The Shop Local Invest Local (SLIL) Maranoa Business Awards will be open to nominations from all businesses in the Maranoa Regional Council area. The awards will provide significant benefits to businesses who engage in the process, as they reflect on their respective operations and identify areas that require improvement. Commerce Roma has requested a financial contribution from Council, totalling $10,000 (approximately 11% of the project budget), for the 2014 Maranoa Business Awards. Allocate financial support of $10,000 to the 2014 Maranoa Business Awards. Consider nominating a Councillor to represent Maranoa Regional Council on the Business Awards Sub-Committee. That Council nominate Portfolio Chair for Economic Development, Cr. Cameron O’Neil, as Councillor representative on the Business Awards Sub-Committee. The approved budget for the 2013/14 reseal program is currently $4.583 million. A change to the seal design process is expected to achieve improvements in the overall costs of the programmed reseals. To maximise source funding, an additional 529,485 m2 of high priority reseal projects have been identified for inclusion in the 2013/14 reseal program. The recent completion of road network condition assessments has assisted in the process of identifying additional high priority reseal projects. This report outlined the potential seal projects that the funding may be allocated to. 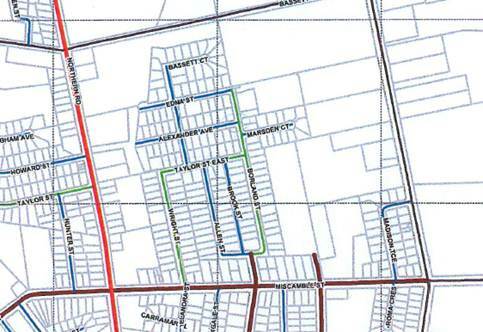 That Council approve the sections of road identified in the ‘Body of the Report’ to be included in the 2013/14 reseal program. Muckadilla community members have proposed a solution to ongoing issues relating to the tidiness and operation of the Muckadilla Transfer Station. It has been proposed that the gates be locked and keys be given to interested residents. Council determined that the matter should lay on the table for further discussion at a later point during the meeting to further consider appropriate charges for the issue of keys to residents who would like to access the Waste Transfer Station. A ‘Mover’ and ‘Seconder’ for the draft motion was called for and recorded below, however, no vote was taken on the draft motion at that time. · Undertake a review after 12 months to determine the success of these changes. Council has previously resolved to provide sponsorship to the 2014 Surat Basin Energy & Mining Expo Industry Forum (GM/11.2013/22 – 13 Nov 2013). 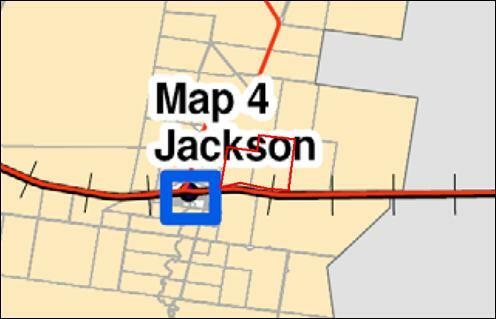 The Industry Forum is a field trip to Roma and Miles on Tuesday 17 June 2014, which will visit sites that are significant for the resource industry in the Surat Basin. Council determined that the matter should lay on the table for further consideration at a later point during the meeting, given that the event corresponded with another calendar event requiring Councillor attendance. Following the implementation of the National Heavy Vehicle Regulator (NHVR) scheme all requests for permits for the movement of multi-combination vehicles on roads under the control of a Local Authority are actioned by this regulator. Currently, through NHVR, multi-combination vehicles (MCV) up to and including B-doubles and Type 1 road trains, can travel on any Council controlled road without restriction. This unrestricted access is limiting Council’s ability to monitor and manage the movement of MCVs. Council determined that the matter should lay on the table for further discussion at a future meeting of Council, following further discussion at a Councillor Workshop. That the matter be laid on the table and be considered at an upcoming Councillor Workshop, prior to presentation at a future General Meeting of Council. Commerce Roma requested that Council provide support to businesses within the Maranoa Region through waiver of fees for the commercial use of footpaths. That Council implement the applicable Local Law process (for applications received in accordance with Local Laws, and administered through this process). Further that Council waive the fee, until further advised, for signs and banners on the footpath that pose little or no risk to the public, subject to confirmation of the applicant’s public liability insurance policy. Council’s first Corporate Plan covered the period 2009-2013. The draft new Corporate Plan is underway but there are some steps that still need to be done. The current extension was to 31 March 2014, however, further time is requested. That the existing Corporate Plan be extended to 31 May 2014 to allow sufficient time for the new plan to be finalised and community engagement undertaken. Council adjourned the meeting for morning tea at 9.58am. That Council close the meeting to the public at 10.27am, and withdraw from the Agenda Item “C.2 – Engagement of Engineering Consultant to provide Engineering Services to assist Council in the delivery of Energy Sector funded Capital Works on selected work packages on Yuleba Taroom Road and Horse Creek Road” pending further negotiations on the selected work packages. This report will again be presented at an upcoming General Meeting of Council. Cr. Flynn declared a potential perceived ‘Conflict of Interest’ in item “C.3 – Regional Arts Development Fund Applications from Round 3, 2013/14 Financial Year,” due to his close association with one of the writers of a submitted application put forward under the funding round, noting that this application had been withdrawn prior to Council’s consideration of the committee recommendations (therefore no conflict remained) and Cr. Flynn remained in the Chamber for discussion on the item. The Mayor left the Chamber at 11.20am. The Mayor entered the Chamber at 11.21am. That Council open the meeting to the public at 11.28am. Council adjourned the meeting for a brief recess at 11.29am. Council resumed the meeting at 10.50am. The recent completion of road network condition assessments has assisted in the process of identifying additional high priority reseal projects. This report outlines the potential seal projects that the funding may be allocated to. This matter had been laid on the table at an earlier point during the meeting, pending further clarification on the specific works recommended by the reporting officer. With this information clarified, Council resumed discussion & debate on the draft motion recorded earlier during the meeting. The ‘Mover’ put forward an amendment to the draft motion, to which the ‘Seconder’ concurred. The amended draft motion was recorded as follows, and put to the vote. Muckadilla community members have proposed a solution to ongoing issues relating to the tidiness and operation of the Muckadilla Transfer Station. It has been proposed that the gates be locked and keys given to interested residents. Earlier during the meeting, Council had laid the matter on the table pending further officer recommendation on applying a charge on the issue of keys for access to the facility. This information now to hand, Council resumed discussion and debate on the matter. A ‘Mover’ and ‘Seconder’ for the draft motion had been obtained earlier during the meeting. An amendment to the draft motion was put forward by the ‘Mover’ with the ‘Seconder’ concurring. Council then commenced debate on the draft motion. Undertake a review after 12 months to determine the success of these changes. Nominate the Mayor & Cr. O’Neil to speak/present at the Breakfast (Diamantina Village) and the Industry Forum Dinner in Toowoomba. This assessment was for the detailed design of pavement widening and reconstruction of Fairview Road (Chainage 5.0km – CH 30.5km). Tenderers were selected from the Panel of Providers – Engineering Services - 13/36. 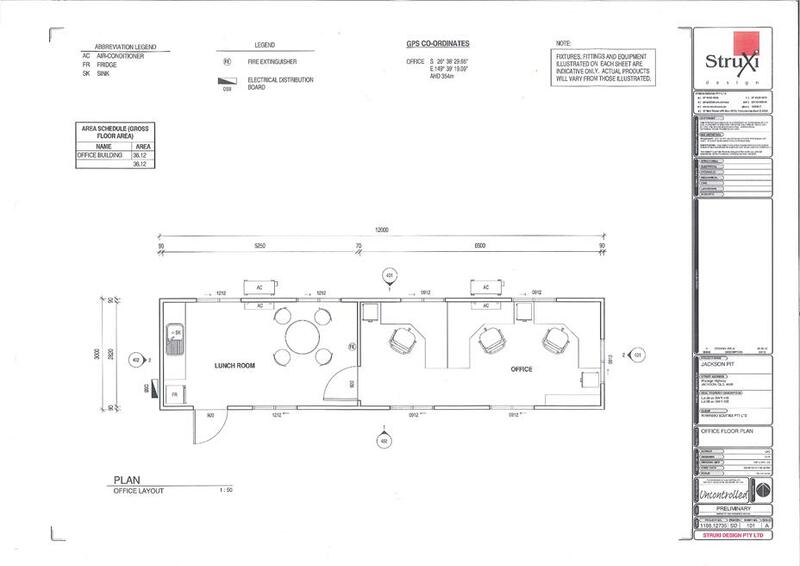 The quotation specifications were sent on 20 February 2014 with a closing date of 7 March 2014. Award a contract to Highland Infrastructure Group for Fairview Road Detailed Design (Chainage 5km – 30km), for the amount of $233,147 (excl. GST), subject to the receipt by Council of the GLNG purchase order, inclusive of Council’s service charge. Advise unsuccessful tenderers of the appointed Contractor. Item withdrawn from the Agenda as per Resolution No. GM/03.2014/62. Cr. Flynn declared a potential perceived conflict of interest in the following item, due to his close association with one of the writers of a submitted application put forward under the funding round, noting that this application was withdrawn prior to Council’s consideration of the committee recommendations (therefore no conflict remained) and Cr. Flynn remained in the Chamber for discussion on the item. 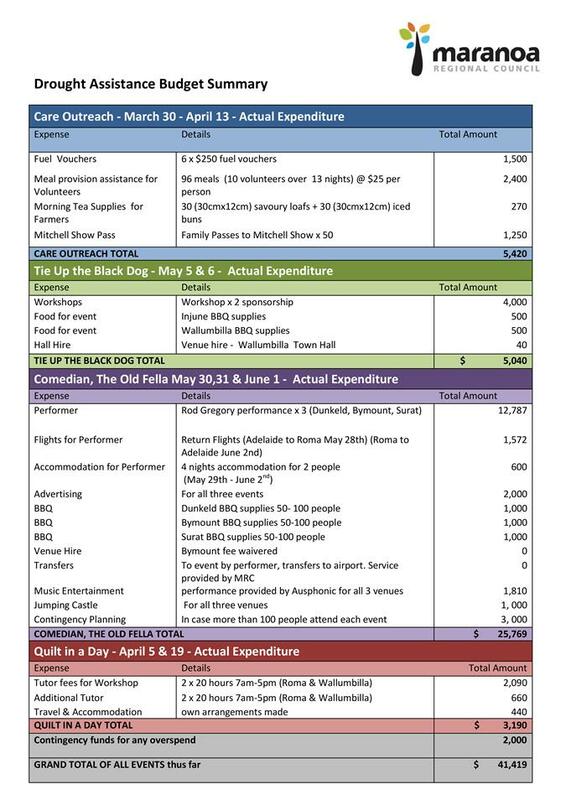 The Maranoa Regional Council Regional Arts Development Fund (RADF) Committee has assessed funding applications for arts and cultural projects and activities submitted under Round 3 of the 2013/14 financial year funding. 1. Approve for requested financial assistance of $2,900 for the project described as “Quilt in a Day,” to be held in Wallumbilla and Roma. This project is to be included in the list of projects Council has received funding for from the ‘Community Drought Fund’ released by the Department of Communities, Child Safety & Disability Services. This approval is subject to the project meeting the guidelines and available funds. 2. If eligible, explore opportunities to provide this workshop in other localities across the region. Council had received a request for sponsorship for the 2014 Queensland Regional Achievement and Community Awards. The launch will be held in Roma on 12 June 2014. That Council sponsor the Regional Achievement and Community Awards by way of contributing funds of $1,500. Council had received an offer to a lease a parcel of land located on Wyndham St for use as off-street car parking. That Council thank the applicant for their offer to lease a parcel of land in Wyndham Street for use as off street car parking, however, the offer is declined at this time due to the associated additional costs for capital improvements and the proposed lease charges. That Council continue negotiations with the proprietor for a 6 year period, with lease payments negotiated on the basis of independent market rental costs being obtained. This contract is for the restoration of flood damage on sections of Fourth Ave, Ronald St, Amby North Rd, Blue Hills Rd, Warrong Rd and Hoganthulla Rd, as well as repairs to parts of the Mitchell River Walk, Roma parks and Mitchell parks. That Council award the tender to FKG for the specified sections requiring restoration from flood damage for the sum of $1,984,669.84 (Excluding GST). Consulting firms were invited to submit quotations to undertake the development of a regional waste strategy for Maranoa Regional Council. Award the development of the waste strategy to Waste Solutions Australia at a cost of $104,025.90 (including GST), which includes the Arup option to investigate alternative waste technologies for the future. Advise other consulting firms in writing of their unsuccessful submissions. Roma Quarry is currently using an eight wheel Acco water truck, Unit 315, which was allocated to the quarry as a short term solution for dust suppression. This water truck has been used for over two (2) years and is now past its useful life. A replacement water truck was planned for Council’s consideration in the 2014/15 budget deliberations; however the condition of the water truck has prompted an earlier solution. That Council approve funding to the value of $235,000 (being the allocation of unspent capital budget funds for the 2013/14 financial year), towards the purchase of a second hand articulated water truck suitable for quarry operations. The Director Infrastructure Services has been working closely with the Infrastructure Services management team, Councillors and Chief Executive Officer to review Council’s Infrastructure operations. takes into consideration Council’s plans for the future. Give its in principle support for the proposed structure, as presented, to proceed to a consultation period with the findings to be brought back to the next Council meeting for further consideration by Council. Approve the term position of Project Manager (reporting to the Director Infrastructure Services), and that negotiations proceed as a matter of priority. Authorise the Chief Executive Officer to consult with appropriate key external stakeholders with respect to the proposed changes. There being no further business, the Mayor thanked Council for their attendance and declared the meeting closed at 12.23pm. These Minutes are to be confirmed at the next General Meeting of Council to be held on 9 April 2014, at Roma Administration Centre. This report seeks Council's approval of a delegation under the Local Government Act 2009 to the Chief Executive Officer. Council is vested with power to make a range of decisions and to take various actions under legislation and other statutory instruments. 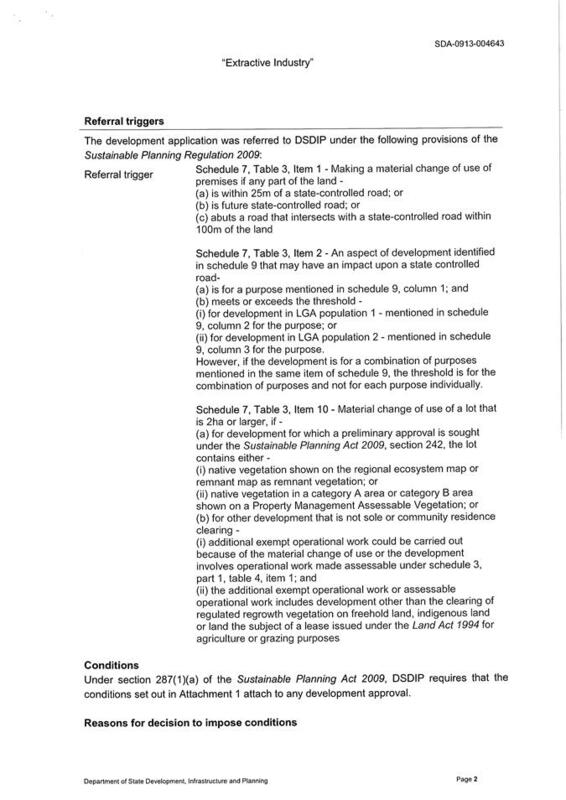 Council derives those powers from State law, such as the Local Government Act 2009 (“LGA 2009”); and the Sustainable Planning Act 2009 and under its local laws and planning scheme. The LGA 2009 allows Council to delegate its powers under State and other laws to one or more individuals or standing committees, including to the Chief Executive Officer (CEO). The delegation of a Council's powers does not involve Council parting with or surrendering those powers. Council continues to retain all powers which are the subject of the delegation. A delegation involves a "sharing" of power, so that both Council and the Chief Executive Officer can exercise the same power. (a) Council at all times retains power to revoke the delegation. Accordingly Council retains ultimate control. (b) Council, as delegator, still has responsibility to ensure that the relevant power is properly exercised. Council will therefore continue to supervise and oversee the exercise of its powers. (c) A delegation of power by Council may be subject to any lawful conditions which Council wishes to impose. The imposition of conditions enables Council to impose checks and balances on its delegations. However, as with any vesting of power, the delegated power cannot be unduly fettered. (d) The delegate must exercise a delegated power fairly and impartially, without being influenced by or being subject to the discretion of other individuals. 3. The delegate will not exercise any delegated power in a manner, or which has the foreseeable effect, of being contrary to a Council resolution or to an adopted Council policy or procedure. 4. The delegate will only exercise a delegated power under this resolution in a manner which complies with the requirements of Council's Planning Scheme and any exercise of power which involves a departure from or variation of those requirements will only be undertaken by Council. 5. The delegate will not exercise any power which cannot lawfully be the subject of delegation by Council. Step 1 - Council would pass the resolutions to delegate powers to the CEO under the legislation identified in Appendix 1 in the terms of the instruments of delegation in Appendix 2. Note: When exercising powers under other Acts (aside from the legislation in Appendix 1) or local laws or before entering into certain contracts, either separate resolutions would be required to delegate powers to Council's CEO or Council would need to exercise the power by resolution. Step 2 - To the extent that these are existing delegations of the same powers to the CEO, they will be repealed upon the resolution to delegate new powers. To the extent that there are existing delegations of other powers in place, they will remain. Step 3 - The resolution would be recorded in Council's register of delegations. The delegation of local government powers is important and necessary for the effective operation of the Council. Delegation update serviced is funded in the current budget. Queensland Government Air Wing is disputing Passenger Tax charges issued for the month of October 2013 totalling $404.80 (GST Inclusive). Passenger Tax Charges have never been issued previously. QLD Government Air Wing also disputes being classified as a charter aircraft. This is despite the aircraft being registered to the State of Queensland and having a weight above that which is allowed to park on the General Aviation apron. QLD Government Air Wing enquired about the Passenger Tax issued and were advised that the Passenger Tax is applicable to all Charter and Regular Public Transport. QLD Government Air Wing claimed that the flight is not a charter and is a private General Aviation aircraft. The aircraft VH-SGY is a Hawker 850 XP and has a maximum take off weight of approximately 12,700kg. The aircraft can carry a passenger load of 13 passengers. As the aircraft’s weight is above 5700kg the aircraft can not park on the General Aviation apron. For this reason the aircraft also needs to be accounted for the in flight schedule as availability of parking can be limited with other aircraft utilising the high strength apron. Since late last financial year, all charter operators as they are identified have been charged the Passenger Tax. This had not always been applied prior to this period. Within the last financial year there have been seven recorded flights. If an exemption is applied, possible lost revenue would total approximately $1771 per annum. Based on an estimated average passenger load of 10 passengers per flight (arriving and departing). · The Mayor at the LGAQ Civic Leaders Summit on 8 – 9 May at Twin Waters. Fifth year masters students in Architecture from The University of Queensland in St Lucia visited Roma on 13 March 2014 to view the Roma CBD, and to discuss the history future redevelopment plans, having identified Roma as a location for their study project. Following this initial visit, Dean of the School of Architecture, has invited Cr. O’Neil to review the students’ master plan proposals for Roma. The presentation will be held on 17 April, from 9am – 5pm. Cr. O’Neil has indicated a keen interest in attending the presentation as part of detailed planning for redevelopment of the Roma CBD. This conference focuses on the issue of financial sustainability within the local government sector. The forum will provide practical solutions showcasing management approaches that can be implemented within local government. An increased number of workshops and panel sessions will give attendees more opportunity to share stories, seek guidance and ask questions. Cr. Newman has indicated an interest in attending this forum in her role as Portfolio for Administration. 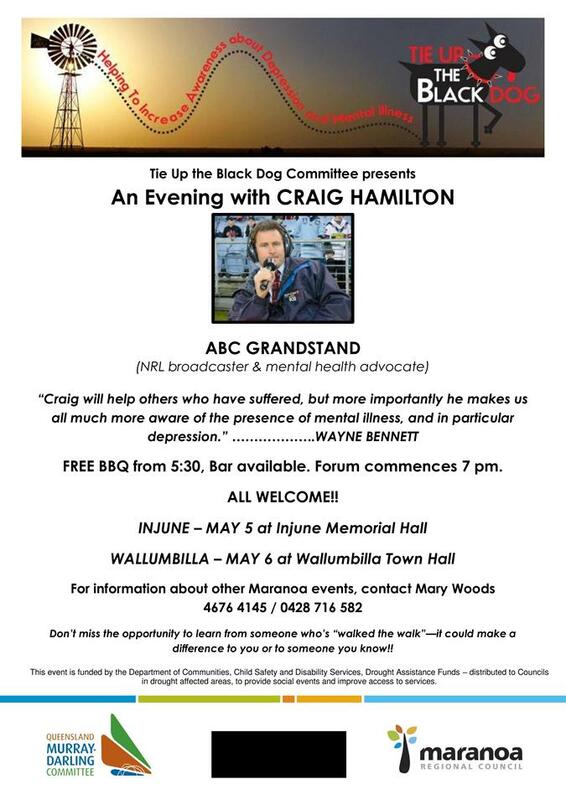 The conference will be held on 7 May 2014 at Twin Waters, Sunshine Coast. This summit is invitational to community leaders, including Mayors, Deputy Mayors and CEOs, and seeks to provide guidance and inspiration for leaders to complete the balance of this term of Council. The theme of the forum - ‘Productivity Plus,’ provides an opportunity for participation in panel discussions and information sharing on a range of topics aimed at improving productivity, resource sharing and benchmarking Council’s performance. 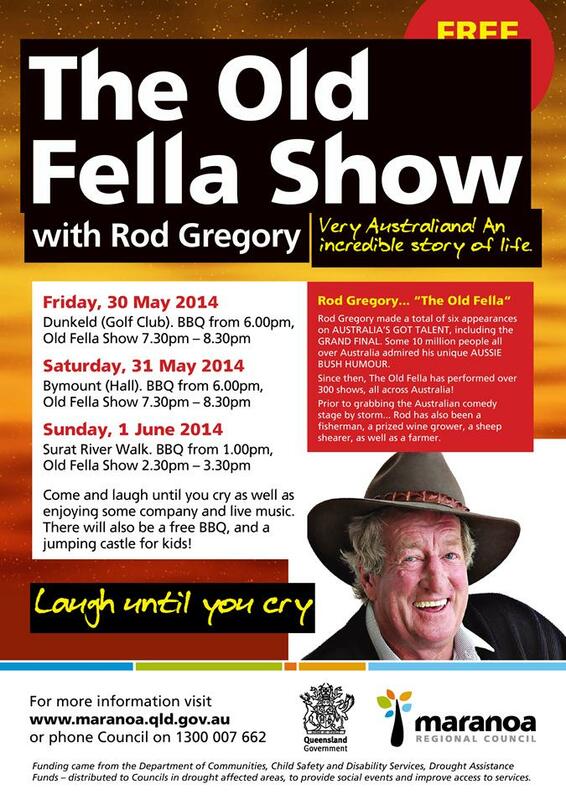 The Mayor has confirmed his and interest in attending the conference on 8 – 9 May 2014 at Twin Waters. Travel (Flights): Associated Costs covered by LGAQ with the Mayor being an Executive Member and his requirement to attend an Executive Meeting on 6 May 2014. Council has received requests for clarification of which user has right of way at the intersections of Bassett Court and Edna Street, and Bassett Court and Alexander Avenue. 2. That the Road Register be amended to reflect this classification change. Council has received requests from residents, through an Elected Member, for clarification of right of way for road users at the intersections of Bassett Court and Edna Street, and Bassett Court and Alexander Avenue. The Department of Transport and Main Roads Manual of Uniform Traffic Control Devices advises that the regulatory signs “Give Way” and “Stop” shall be used at cross-road intersections to control traffic movement and to clarify which road user has right of way. The road with the higher classification is given precedence, however all three of the roads in question are the same classification i.e. Access Place. In this particular case both Edna Street and Alexander Avenue connect to Bassett Court making Bassett Court the higher order road. In order to remove right of way ambiguity and provide control signage and/or lines, the classification of Bassett Court needs to be changed to Access Street to give it precedence in the road hierarchy. A name is sought for the new Street in Stage 1 of the Roma One Development. That Council name the new street in the Roma One Development Wormwell Drive. Council has received a request from Ducmar Investments Pty Ltd seeking a name for the new street to be created as part of the subdivision of land within Stage 1 of the Roma One Development. The unnamed street is required to be named before addressing numbers can be provided and to support emergency service access. The Developer requested that a street name be proposed in honor of a local individual. The name Wormwell Drive was subsequently proposed through a Councilor workshop, and endorsed by the Roma Historical Society. 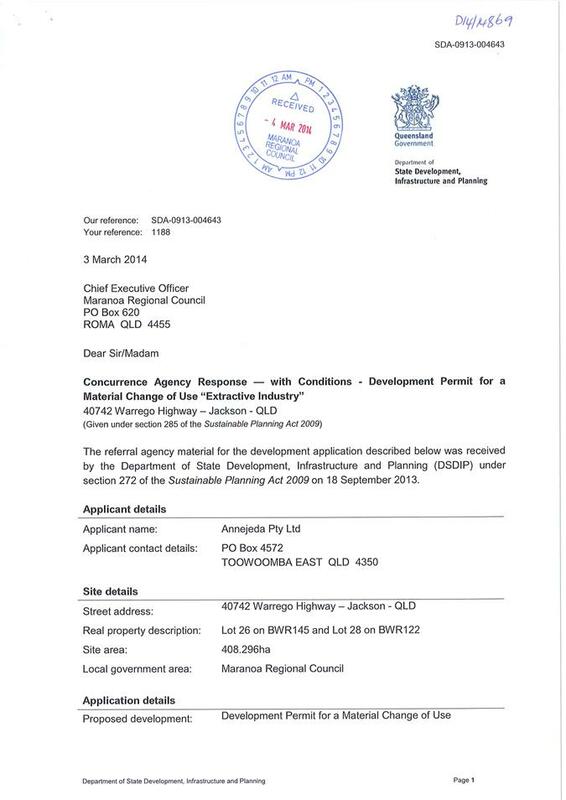 Executive Summary: The application seeks approval for a Material Change of Use - "Extractive Industry”, on land at 40742 Warrego Highway, Jackson QLD 4426 (described as Lot 26 on Plan BWR145 and Lot 28 on Plan BWR122). 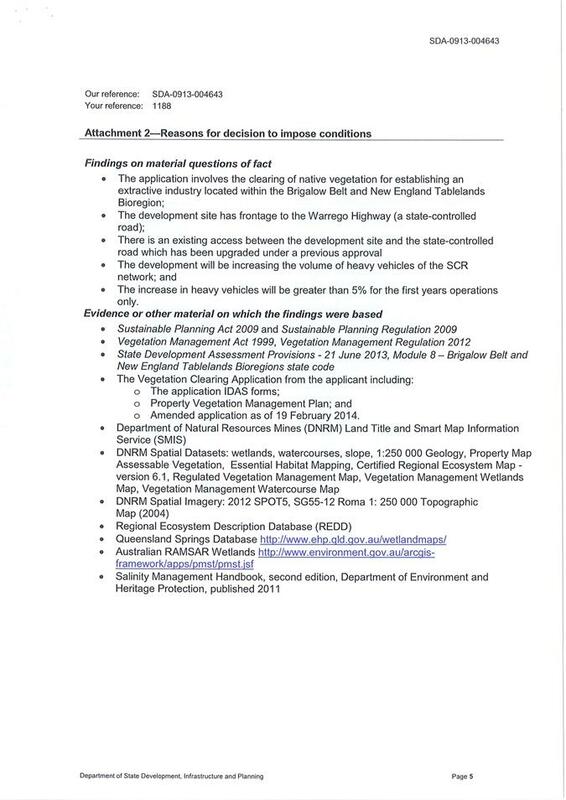 The application is subject to Impact Assessment against the relevant provisions of Bendemere Shire Planning Scheme 2006 including the Desired Environmental Outcome’s and Rural Zone Code. - Public notification was undertaken in accordance with the requirements of SPA. The application generally accords with the policy position of the Bendemere Shire Planning Scheme. The proposed development approval conditions include provisions for a Network Access Charge which takes account of the proportional impact of the development on the local government road system. The Network Access Charge (NAC) has been initially set at $0.50 per tonne for all extracted material leaving the site. The NAC allows for the use of all parts of the local government road system open to vehicles of the weight and type used in the extractive industry operations. 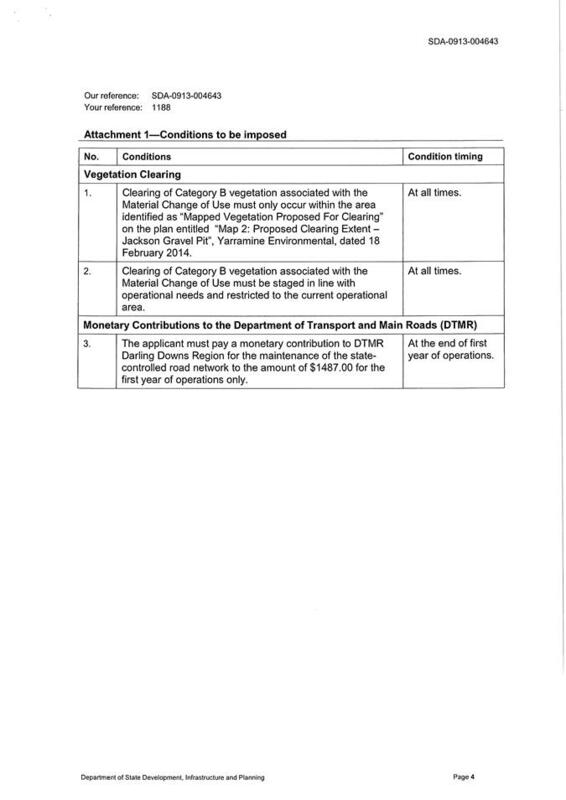 The information and requirements for the payment of the NAC are contained in the Charges Schedule - Local Roads Additional Impacts which is attached to the approval and forms part of the conditions. With the emphasis placed by the Queensland Government on the separation of responsibilities, the approval of development applications by the Council now includes conditions that make it clear that Council does not take responsibility for the environmental management of quarries where an environmental authority has been issued by the Department of Environment and Heritage Protection. The Council conditions now state that the approval relies on the environmental authority for the site to provide the basis for managing environmental impacts. The conditions also state that the approval also relies on the entity approving and managing the environmental authority to meet its responsibilities. To make this point very clear, the conditions state that the Council will not take any responsibility for the management of environmental impacts unless the entity is unable to act. It does mean that the standards and approval of civil works and services that are the responsibility of the Council will be subject to environmental impact management requirements that may be imposed by the environmental authority. As a reserve power, the conditions contain a “sleeper” clause. This clause is inserted just in case the environmental authority or the Department of Environment and Heritage Protection cease to exist during the life of the quarry, which could be 30 years or more. This “sleeper” clause states that if the environmental approval issued by a State agency ceases to have effect and is not replaced by an appropriate approval, code or law, then the conditions of the original environmental approval given for this use on this site become conditions of this approval. References in the original environmental approval to the State agency will then be construed as references to the Council to the greatest extent possible. By taking this approach, the holder of the approval can clearly see who is responsible for the oversight of site environmental management. It also helps restrict “jurisdiction shopping”. The other result is that it makes it clear that the Department of Environment and Heritage Protection is the entity responsible for environmental management. Council has received correspondence from the Booringa Action Group enquiring as to Council’s future plans for the former Maranoa Retirement Village buildings and surrounds. 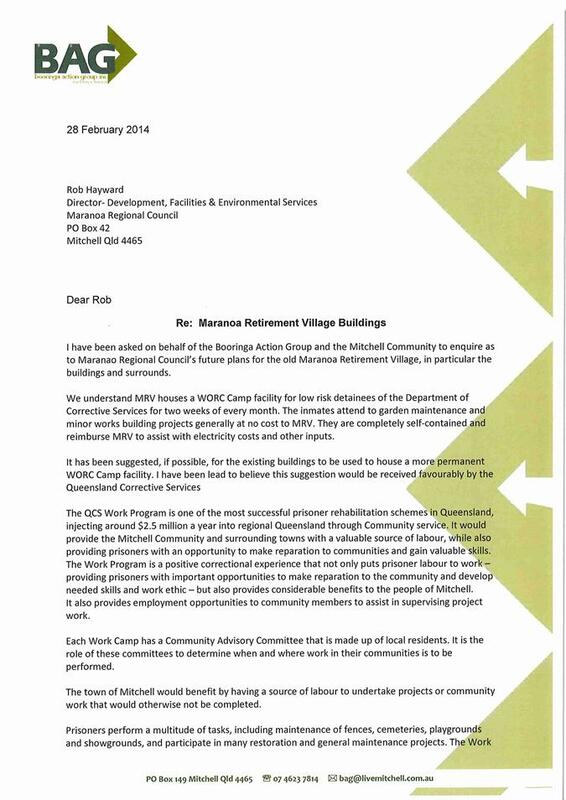 · Approach the Department of Justice and Attorney General and commence communications in regard to the program relocating to the Maranoa Retirement Village. · Provide the Maranoa Retirement Village Auxiliary a deadline of 30 June 2014 to remove all equipment belonging to the organization with all fixtures to remain on site. · Contact the Department of Natural Resources and Mines to explore the opportunity to convert tenure type from reserve to freehold. The Maranoa Retirement Village is located on Lot 1 on DL143. The land is a Reserve for Local Government Purposes, with the sub-purpose of the reserve being an aged persons home. As such the Department Natural Resources & Mines have nominated Council as the trustee of the reserve with permission to use this land for the purpose of an aged care facility. As the trustee, Council is not the owner of the land and therefore cannot sell the land. After a decision is made regarding its future use, Council may need to apply to the Department Natural Resources & Mines to have the reserve type changed. It is recommended that Council explore the option of freeholding the Maranoa Regional Village site. · WORK Camp. Housed in re-locatable donga style accommodation. · Small flat. Connected to A Block by a verandah. Currently occupied by Council’s builder (Council’s Buildings and Structures), which assists with compliance with Council’s insurance policy. · Ancillary buildings – carport, double door garage, laundry building (connected to A block by verandah. · Old hospital operating theatre. Disused, poured concrete building that cannot be relocated. · Old Aboriginal women’s maternity building. In the past the Nalingu Aboriginal Association expressed interest in the building, but didn’t have the funds to relocate to the Yumba. Connected to B Block by a verandah. · Old garage/carport/infectious person’s ward. At rear of A Block. In considering future uses, Council needs to be mindful that the uses will need to co-exist with a WORK camp. For example, the Department of Corrective Services has in the past indicated that if Council decided to establish backpacker accommodation in the buildings, the WORK camp wouldn’t be able to remain on the site. The following future uses would compliment the existing uses at the site being community housing and WORK accommodation. Initially an idea proposed during the wind-up of the Maranoa Retirement Village. Julian McEwan, Manager Roads and Drainage North and Parks, has expressed interest in the Maranoa Retirement Village as a possible site for Council staff accommodation. It would be used by Council road construction crews working in the Mitchell region. Council has received correspondence from the Booringa Action Group asking that the retirement village buildings be used to house a more permanent WORK Camp facility. The Booringa Action Group indicated that this suggestion would be received favourably by the Queensland Corrective Services. Contact was made with Kayleen Richter, Acting Work Program Manager on 13/3/2014. Kayleen indicated that while there had been some discussions internally within the Department on this proposal, approval would have to be given by the Director General, Department Corrective Services before a proposal could be presented to Council. This matter is very much in the planning/proposal stages. 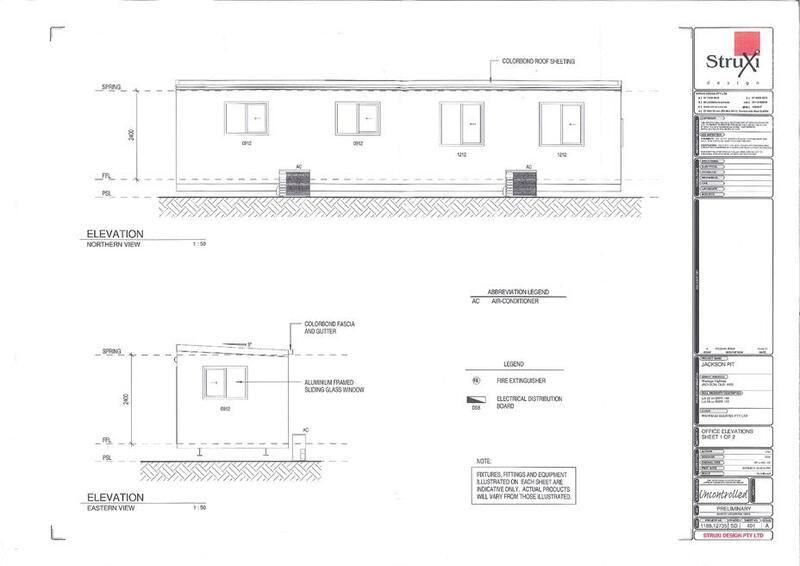 (d) Demountable buildings currently being used to house Mitchell WORK to be relocated to another Regional Council area to allow another WORK program to be established. Chris Burgess has indicated that he believes if Council contacts the Department and offers them use of the buildings, the Department would be very agreeable. The Department would take on responsibility for the buildings. Discussions have been held with Barbara Brennan from the Maranoa Retirement Village Auxiliary. Mrs Brennan has indicated that the Auxiliary is in the process of winding up its affairs and as per their constitution, have distributed their funds to other community organizations within Mitchell. In discussions with Mrs Brennan, it has been conveyed that the organization still intends to remove items of equipment, furnishings and fixtures which the group paid for, from the buildings and grounds. Barbara also indicated that, depending on who next used the facility, the organisation may consider leaving items including the weather blinds and the shed in place. From a facilities management perspective, it would be advantageous that the Auxiliary finalise removal of all of its assets from the facility as soon as possible. Jane Fenton, Local Development Officer Mitchell. Currently Council is responsible for the cost of maintaining the building including standby electricity, fire safety and building maintenance. As the park is located on a reserve managed by Council, Council’s formal consideration of the plans is sought. · Include funds in the 2014/15 budget to connect town water to the site as per the costings provided by Council’s Infrastructure Planning and Design Team. Mandandanji Cultural Heritage Services have commenced the development of a park on the banks of Bungil Creek in Roma. 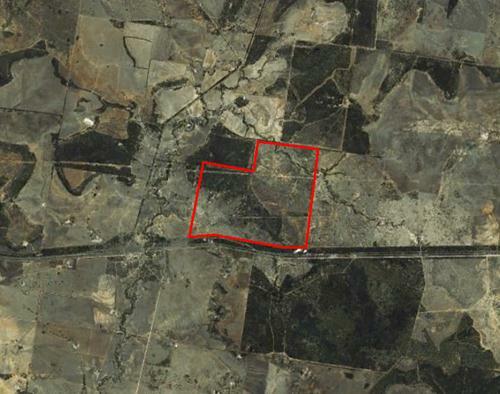 The park has been established on a Water and Road Reserve (R169) known as Lot 356 on CP R861. Council is the trustee of the reserve. The parkland has already been partially developed by the Mandandanji People and currently has a boomerang shaped display case, seating and tables. As outlined on the attached map, the group plans to construct a yarning circle, an additional display case and a toilet block on the site. As the land used for park is part of a larger water and road reserve (of which Council is trustee), the land will need to be excised off the reserve and dedicated as a more appropriate reserve type. Council staffs have commenced regular monthly meetings with representatives of Mandandanji Cultural Heritage Services Pty Ltd. The purpose of these meetings has been to create positive communication lines between Council and the group. Costings have been prepared by Council’s Infrastructure Planning and Design Team to connect water to the Park area. This costing resulted from a query raised in the January regular meeting. The cost to connect water is $11,968.44. Council hasn’t been formally asked by the group to cover costs associated with connecting water to the land. In 2010, Council did provide in-principle support for a proposal to install signage, seating and fencing on the site. This support was required to allow the Mandandanji group to submit an application for funding to complete the work. 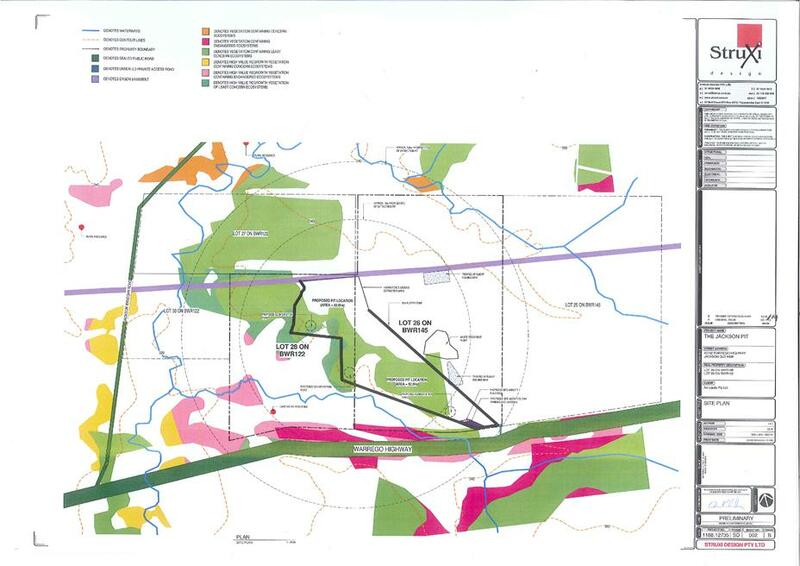 The Department Natural Resources & Mines was aware of this proposal and didn’t have any concerns with the development. However since this time the Department has contacted Council and expressed its concerns to Council that the amount of development that has taken place exceeds the originally agreed to fencing, seating and signage and is not consistent with the purpose for which the reserve was gazetted. It is recommended that Council apply to the Department Natural Resources & Mines to have part of the reserve excised and the reserve type changed to Cultural Reserve or similar. Cost to connect water - $11,968.44. The Queensland Government is currently accepting applications from Regional Tourism Organisation’s, (RTO’s) for their 2014/2015 Contestable Grant Scheme. This program provides opportunity for RTO’s to apply for additional funding for specific marketing and promotional campaigns. In the 2013/2014 financial year, Outback Queensland Tourism Association (OQTA) was successful in their application for a Contestable Grant and was subsequently able to leverage their marketing allocation to obtain an additional $652,000. This funding was used to promote the highly successful “Eventures” campaign. OQTA are inviting all Local Government members and Associations in Outback Queensland to partner with them for additional funding under the RTO Contestable Grant Scheme in 2014/2015. Should Council choose to participate, a letter will be required confirming your financial contribution. Based on the 2013/2014 budget allocation, this report proposes that if Council chooses to partner with OQTA in their Contestable Grant application, then an amount of $13,000 would be recommended. At worse case this may be matched $ for $ or at best $ for $1.5. 2. Contribute an amount of $13,000 toward the application of OQTA in the RTO Contestable Grant Scheme, 2014/2015. The LNP Queensland State Government, as part of their commitment to Tourism has allocated $3 million under a Contestable Grant Scheme. This commitment provides the opportunity for Regional Tourism Associations (such as Outback Queensland Tourism Association (OQTA) and Southern Queensland Country Tourism (SQCT)) to apply for additional funding for specific marketing and promotional campaigns. In the 2013/2014 financial year, Outback Queensland Tourism Association was able to leverage an additional $652,000.00 for marketing, promotion and development of tourism in the Outback, through their successful Contestable Funding application. OQTA used their funding to market major events throughout the region. Their campaign encourages visitors to “make a promise” to visit the Outback for one of the regions major events and subsequently rewards them for fulfilling their promise- the “Eventures” campaign. - Inclusion in the 2014/2015 Outback Queensland Travellers’ Guide. With visitation continually growing, tourism now contributes $300 Million dollars per year into the local economy with over 500,000 visitors being welcomed into the region each year (Lloyd Mills, General Manager OQTA. March 25, 2014). OQTA will be submitting an application in their bid to secure funding in the 2014/2015 State Government Contestable Funding Grant program. If successful, the funding will be used promote the “Eventures” campaign once again. As part of their application, OQTA will be contributing a minimum of $50,000 towards the campaign. The association is currently inviting all local Government Associations in Outback Queensland to partner with them for additional funding. As per the guidelines for the RTO Contestable Grant scheme, all successful applications will receive a matching sum from the State grant. In addition, all “genuinely new” local government contributions will potentially have their funds leveraged for an additional 50%. “Genuinely new” money refers to any funds contributed by an LGA who has not participated in previous years. Should the submission for Contestable Funding be successful, OQTA will manage and acquit the grant and would work with a nominated local government representative to maximise the marketing and promotional value for each local government area. The campaign would be centred on television, radio and print advertising both within and outside of Outback Queensland Tourism Association’s area, based on the direction of the nominated representative. · OQTA would receive $19,500 from state funding, in addition to the $13,000 contribution from Council. · The $19,500 will be used to promote and market events exclusively in the Maranoa, which would be administered by OQTA, in partnership with Council. · The $13,000 contribution from Council will be used solely to promote the “Eventures” campaign, of which events in the Maranoa would be included. If the application of Outback Queensland Tourism Association for a Contestable Grant is unsuccessful, no contribution from Council will be required. 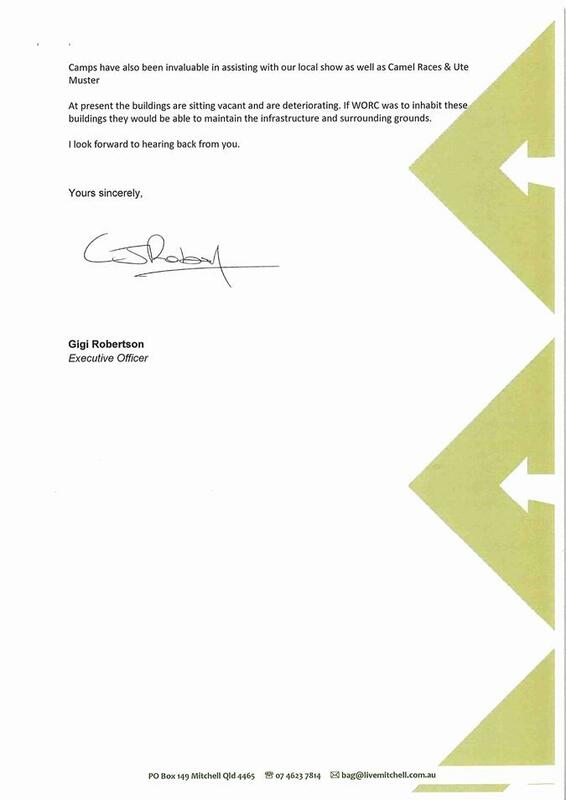 Should Council choose to partner with OQTA in their bid for additional funding, a letter is requested confirming their nominated financial contribution. Applications for the RTO Contestable Grant Scheme close on April 22, 2014. Council Workshop, April 3 2014. $13,000 contribution payable only upon the RTO Contestable Grant Scheme successful funding bid- for consideration in Council’s 2014/2015 budget deliberations. The Department of Communities, Child Safety and Disability Services has provided Maranoa Regional Council with $50 000 funding as part of the Drought Relief Assistance Scheme. Confirmed events and projects coordinated throughout the Maranoa and funding allocation are provided. On 21 January 2014 the Premier and Minister for Agriculture, Fisheries and Forestry, jointly announced a 20 million dollar package of community support measures which included a Drought Relief Assistance Scheme. The purpose of the funding was to strengthen the resilience of drought affected residents by revitalising existing community support mechanisms; through the utilisation of community events, to increase access and participation in direct support services. Maranoa Regional Council was allocated funding ($50 000) to coordinate projects and events that would meet the specific needs of the community and meet desired outcomes. Project outcomes include; increased ability for individuals and community groups to participate positively in their community and improve access to individual services. 3. 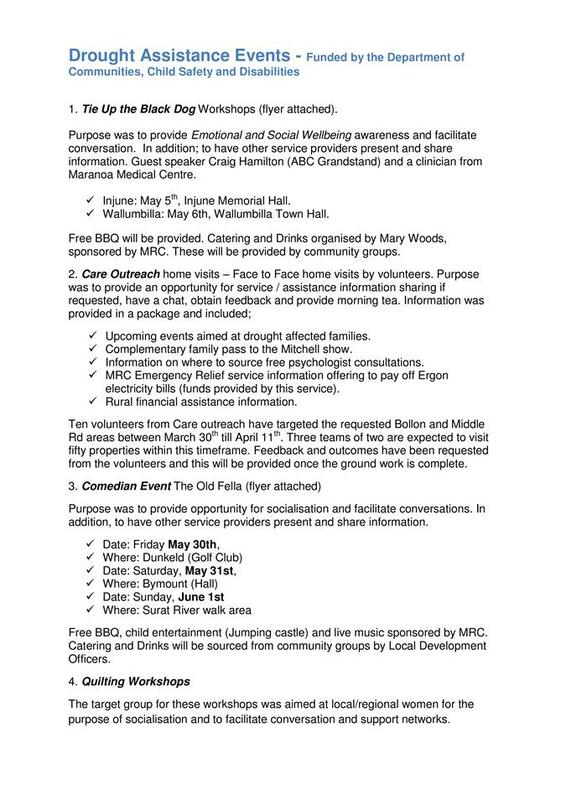 Care Outreach home visits – commenced 30 March till 13 April 2014. Target area was based on Council and community consultation and feedback and these included Bollon and Middle Rd properties. 4. Quilting workshops for women – Wallumbilla and Roma currently secured with investigation into extending it to other regional areas. 5. Coordination of events and projects – in partnership with Queensland Health, the distribution of a drought specific Events Calendar (mail out throughout the South West). Project details and budget breakdown are provided. 1. Councillor workshops, March 5th and 19th. 2. Interagency meetings, February 24th, March 17th and 24th. 3. Drought Assistance Information Sessions, March 3rd and 4th. 5. Utilisation of local Council staff for community feedback – Local Development Officers and Customer Service Officers in Roma, Surat, Yuleba, Injune and Mitchell. 4. Whole of region approach – certain areas were identified as having a higher need based on community request for services and information as well as; those farming areas severely affected by drought. 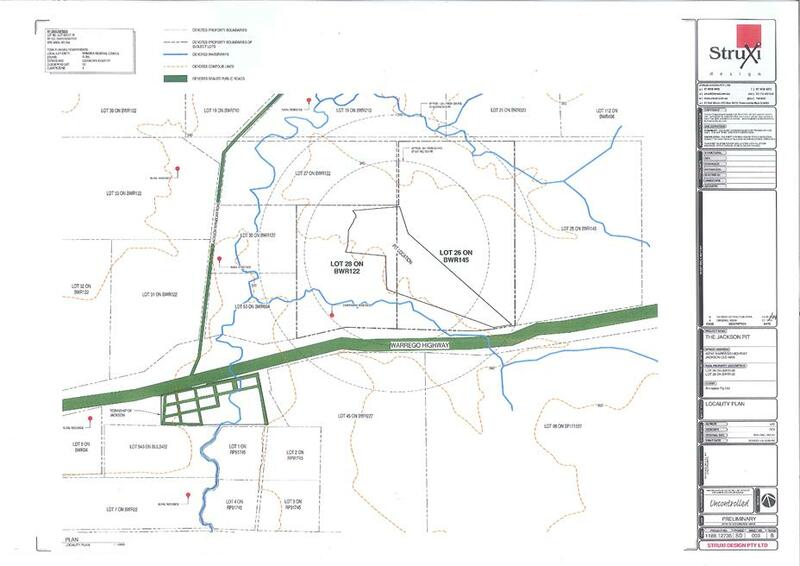 It is acknowledged that Maranoa Regional Council will provide a detailed report to the funding body on completion of this project, by no later than 14 October 2014 and all identified projects must be complete by 30 June 2014.